Cybercoins address, phone, website, hours of operation, and more. 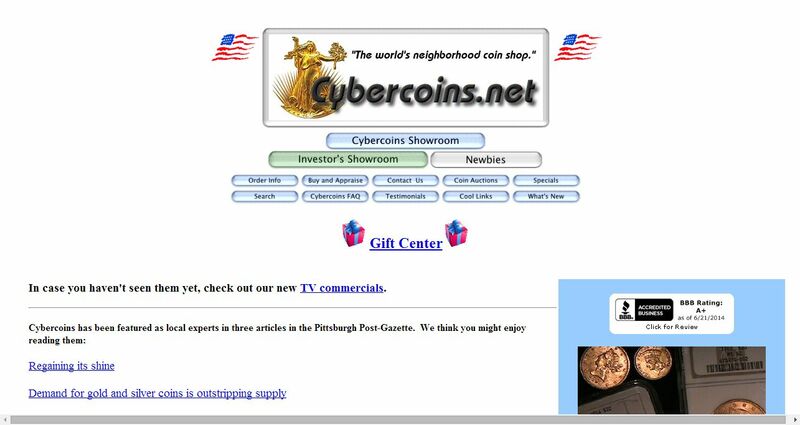 Welcome to Cybercoins. We are buying. We will appraise all coins, stamps, gold, silver and precious metals. We will offer top dollar. We are pleased to also offer a complete Web site of coins, stamps and related hobbies. Our intention is to give you an exact view of the more valuable coins, stamps, etc., so there are no surprises that arrive in the mail. What you see is what you get. We will continually add and upgrade our site with new coins, stamps and fun imagery. Stick with us. You ain’t seen nothing yet!